Bank of America is recognized as a top employer, including by Working Mother magazine, the Human Rights Campaign, and G.I. Jobs magazine. The company received the 2013 Department of Defense Freedom Award for support of employees serving in the National Guard and Reserve. 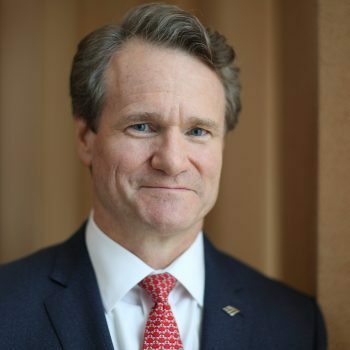 Moynihan participates in several organizations that focus on economic and market trends, including the World Economic Forum International Business Council, the Financial Services Forum, which he chairs, the Business Roundtable, and the Bi-Partisan Policy Center CEO Council on Health and Innovation. He also chairs the supervisory board of The Clearing House.